What would it be like to lead a team of inspired employees who like what they do, who want to do more, and who respect and work well with one another? How quickly would your business grow? If your employees told all their friends and family how much they love working for you, how would that position your company in your community? If you are starting a company, what culture decisions can you make now that will position you as one of the best companies to work for a few years from now? Outcomes like this do not just emerge. It takes leadership strategy, a firm and ethical commitment to do the right thing and an understanding of core human motivation to build a company that addresses all these questions. You have hired professionals to bring the best job candidates to you when a job opens. New employees seem to work really well for half a year and then their efforts start to slack off. You find that too much employee conflict lands on your desk and it is affecting your customers, too. What can be done to transform this? Gallup reports that of the 100 million full-time workers in the US, 20 million are miserable and another 59% are unhappy. However, creating a work environment where trust and cooperation thrive is not that difficult to do once you know where to start. If you have been searching for common sense solutions for making your work environment more cooperative and resilient in ways that improve your revenue, this Complimentary Leadership Training Webinar provides cost effective and research-based ideas that improve the work environment in a remarkably short period of time. These solutions are readily championed by employees and you will learn why this is. 5 conditions that provide structure for trust and cooperation to thrive in your work environment. These conditions also energize and engage employees. The psychology of what people really want that results in improved trust and cooperation as natural outcomes. You will learn what is required to restore trust along with identifying behaviors that build trust and behaviors that predictably cause problems. Additional TIGERS® resources that make the job easy for you and help you monitor workforce trust, interdependence, genuineness, empathy, risk and success on an ongoing basis. Join us in this on-demand webcast by enrolling now. 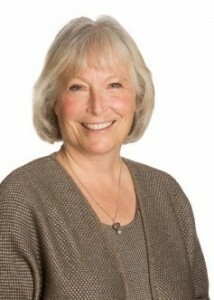 Dianne Crampton – TIGERS® Success Series, Inc.
Dianne’s research in group dynamics discovered TIGERS®. For over 20 years she has helped leaders build more cooperation among employees and departments for improved business revenue and employee engagement. She helps leaders build teams of committed employees by deploying her proprietary TIGERS® team behavior process which stands for trust, interdependence, genuineness, empathy, risk, and success. Nominated by Merrill Lynch for the Western Region Inc. Magazine Entrepreneurial Awards, her track record in service to socially responsible mergers, change efforts and building scalable leadership teams spans both the public and private sectors. Contributing Author to Working Together: Producing Synergy by Honoring Diversity. (Barrett Koehler 2003) with endorsements from Steven Covey. She is honored by the National Association of Professional Women as Professional Woman of the Year and for Leadership Excellence by HR.Com. Dianne helps leaders form teams for complex system’s problem-solving whether these organizations are team-based or not. She also trains and licenses managers, human resource executives, project managers. managers saddled with change planning and qualified team and leadership development specialists in the use of TIGERS resources, too. Mastering The Work Environment Is Not That Difficult When You Know Where To Start. Title: How To Build A Successful Work Environment Where Trust and Cooperating Thrive. Once you enroll you will be taken immediately to the Webcast.